and Christ-like community that allows students, grades 7-12, to flourish together in Jesus. Join us for Hi-League on Sundays (7-9pm) and Flip Side on Wednesdays (7-8:30pm) to get plugged into The Loft family! Check out all our events on The Loft Calendar. We mail this to every other month to all our 7-12 grade students involved in our youth programs. To be added to the mailing list, contact colby@hinsdalecovenant.com. Hi League, for students grades 9 – 12, gathers for games, worship, a reflection on faith and small group activities. Students are always welcome at Hi League; we love new friends and there are no qualifications to come and dive into our community. We are always switching things up at Hi League, so you never want to miss a night! Our Flip Side community is one of acceptance, learning, and growing together in faith. Students gather for games, worship, a reflection on faith and small group activities. 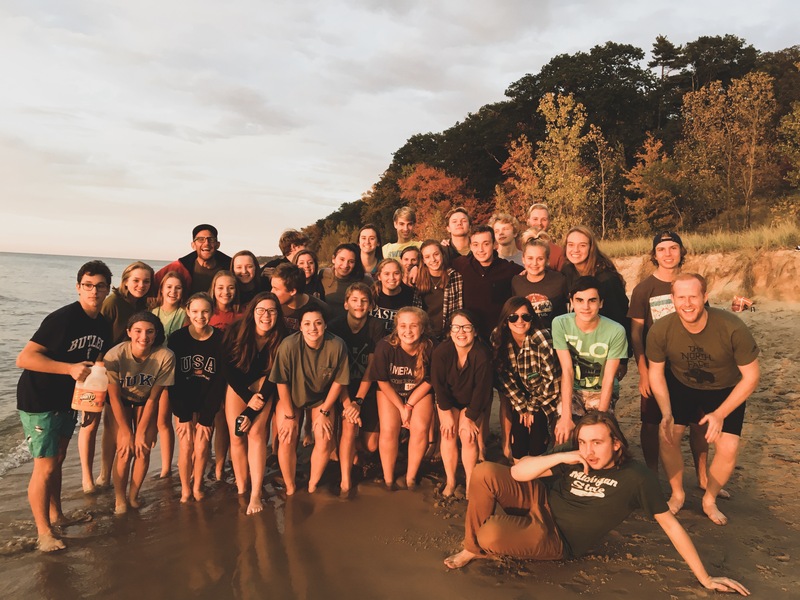 Join in retreats and Mystery Van excursions, bring your friends and learn about God, as we seek to follow Jesus together. This two year program is for all 7th and 8th grade students. 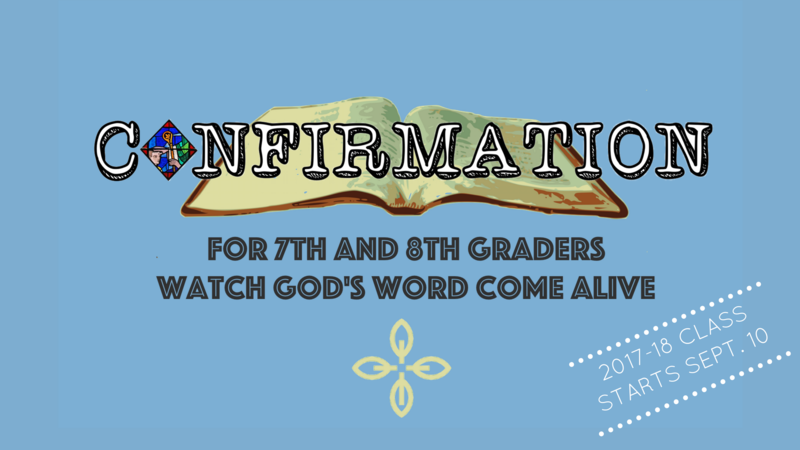 The goal of Confirmation is to present an overview of the Bible and church beliefs while offering participants the opportunity to make or strengthen their personal commitment to follow Christ. The class is taught the 1st and 3rd Sunday of the months, at 5-6:30p, September- May. 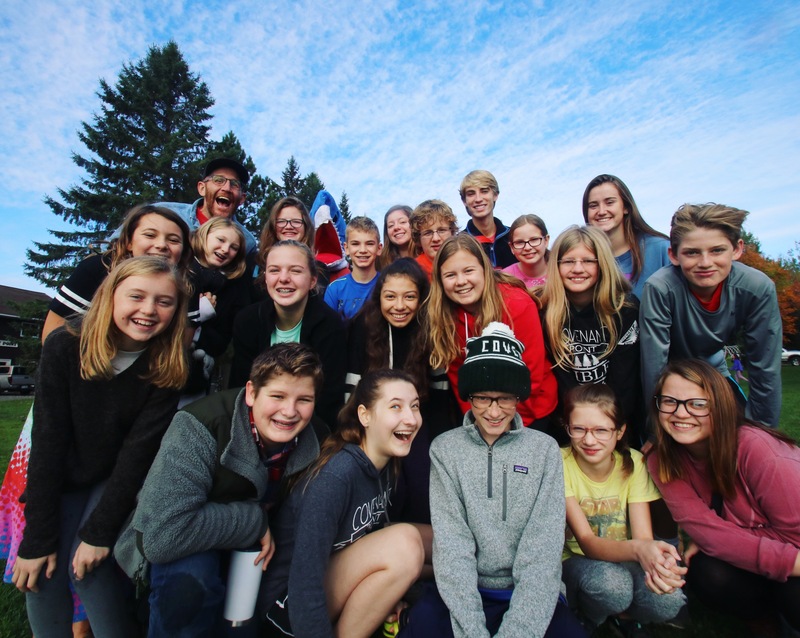 Club 56 classes are for 5th and 6th graders to “dig deeper” into scripture and explore biblical topics to grow their faith. Sunday mornings, Club 56 students gather to meet for classes in the youth loft. 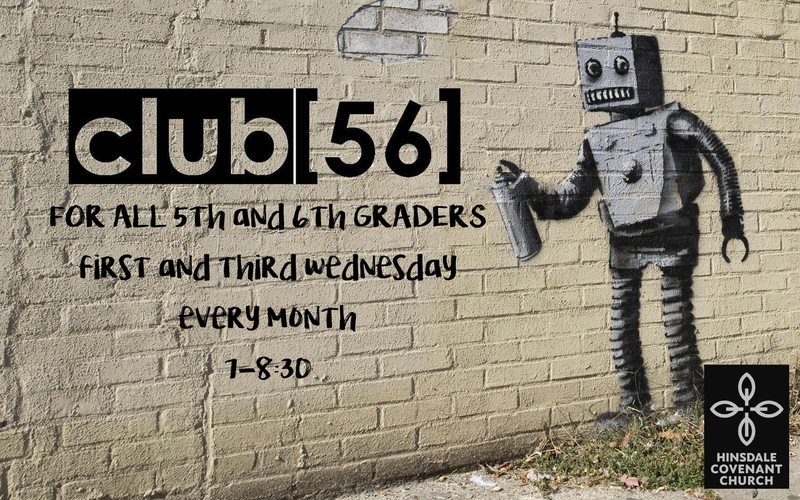 Join Club 56 on the first and third Wednesday of each month 7-8:30pm for a night of games, worship and outreach. Invite your friends! Contact Christy@hinsdalecovenant.com with questions.